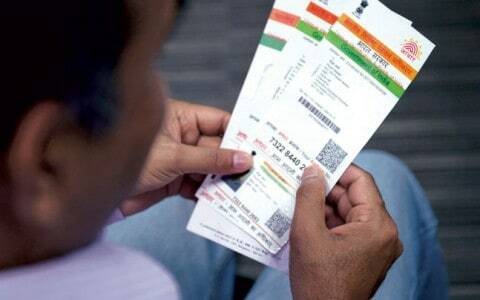 NEW DELHI: The Unique Identification Authority of India (UIDAI) said on Monday that Aadhaar data is completely safe and secure. Aadhaar number, it said, is not a secret number and it is to be shared with authorised agencies if one wishes to avail a certain service or benefit of government welfare schemes or other services. "Aadhaar data is fully safe and secure and there has been no data leak or breach at UIDAI," the authority said in response to a report based on RTI that 210 government website made Aadhaar information public+. "There was no breach or leakage of Aadhaar data from UIDAI database or server...," it said in a statement. The UIDAI had said in the RTI reply that it "found that approximately 210 websites of central government, state government departments including educational institutes were displaying the list of beneficiaries along with their name, address, other details and Aadhaar numbers for information of general public". UIDAI said the data which was placed in the public domain as a measure of proactive disclosure under the RTI Act by the government and institutional websites included beneficiaries' name, address, bank account and other details including Aadhaar number. It was collected from the third party and users for various welfare schemes. The authority said it acted promptly on the report, and both the UIDAI and ministry of electronics and IT directed the government departments and the ministries concerned to immediately remove the data from their websites and ensure that such violation does not occur in the future. "Certain other measures were also taken at various levels to ensure that such incidents of display of Aadhaar numbers do not take place. Following UIDAI's action such data were removed from these websites immediately," the statement said. It added that Aadhaar numbers which were made public on the said websites do not pose any real threat to the people as biometric information is never shared and is fully secure with highest level of software security codes encryption at UIDAI. "...mere display of demographic information cannot be misused without biometrics," the statement said. UIDAI said that any Aadhaar linked transaction is processed after a successful authentication of fingerprint or iris of individual. "Further all authentications happen in presence of personnel of respective service provider which further add to the security of the system," UIDAI said.